An award-winning cat welfare product has proved so successful that the UK’s leading feline charity Cats Protection has commissioned an additional tool from Excelsior Roto-Moulding Ltd, in order to enable it to satisfy growing demand. Cats often suffer from stress as they adjust to unfamiliar environments. Those looked after by Cats Protection are housed in pens designed to help them feel secure, and historically these were equipped with cardboard boxes and cat baskets etc, which were difficult to keep clean and didn’t last long. The charity required a durable, hygienic alternative to this equipment, and in 2012, approached Excelsior to design and produce a bespoke product, appreciating the relatively low start-up costs incurred by rotational moulding. 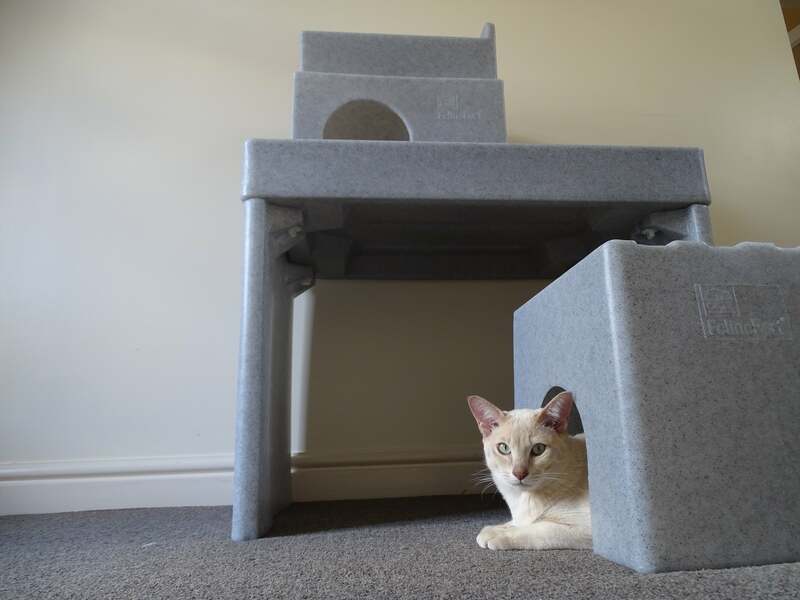 Excelsior worked closely with Cats Protection’s behavioral specialists, and using research provided by recognised specialist in veterinary behavioral medicine, Dr Rachel Caseya, it designed a unique product to help reduce cats’ stress levels. As news of the custom-madeproduct spread, the charity began to receive orders from private individuals and other organisations, such as charities and veterinary practices, as well as from within Cats Protection. Said Cats Protection purchasing officer, Louise Ellis: “Excelsior’s new tooling has already reduced lead times, enabling us to keep up with demand and ensure that the tremendous potential this product has to improve the life of cats and kittens is properly fulfilled. Established in 1896 and a leader in the roto-moulding industry since 1976, Excelsior Roto-Moulding Ltd offers customers unrivalled experience and skill. Owned and run by the Fielding family since 1902, the Excelsior team brings pride and integrity to its work.